I’m guessing crayons exist in some form in almost every household with children – and many that don’t. They are a tried-and-true basic in my book and kiddies across the world can’t seem to get enough. Crayons are non-mess producing, non-toxic and come in just about every conceivable colour. 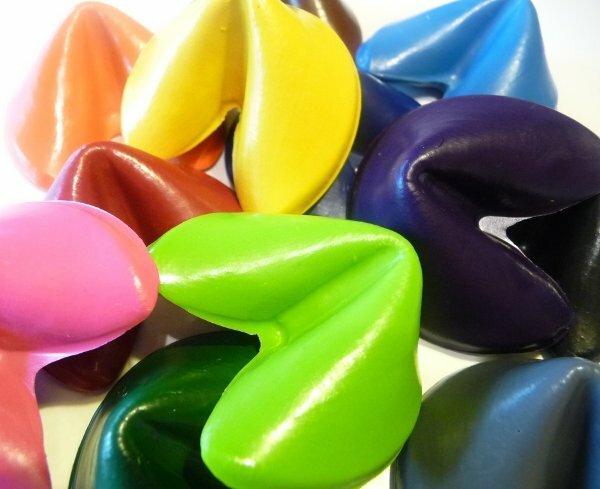 I’m sure fortune cookies don’t normally pop into your head when you think of crayons and that’s what makes these Etsy shop Chase Dreams crayons so special. And the fact that they are completely recycled from used crayons puts them well into cool-ville for me. Oregon-based (yay for my home state!) 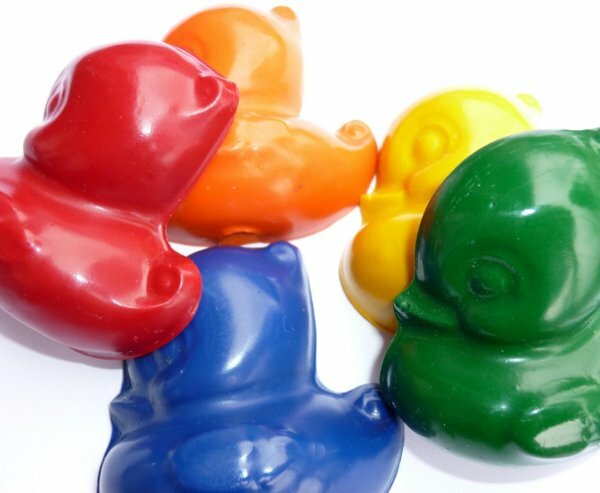 Chase Dreams creates some magic with their colourful Fortune Cookie Crayons (that have a fortune attached), and the cuteness-personified Rubber Ducky Crayons. Scoot over to Chase Dreams to snap up some crayons for your kids with prices ranging from US$3 for the Jumbo Star Crayon to US$8.50 for twelve Fortune Cookies. Email for a shipping quote to Australia.